Introducing SmokeAlleve, the original all natural, herbal program formulated to break your addiction to nicotine the right way once and for all. You can be smoke free from day one – guaranteed! 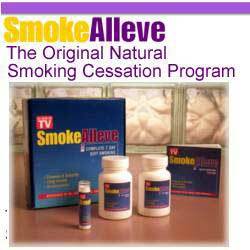 All natural system designed to help you stop smoking in just 7 days with results in 1 day.